I have you intrigued, don’t I? Well, don’t get too concerned, it’s just a little play on words. Today, we decided to do a little Da’wah by sharing some dates and a little info about Ramadan with our Neighbours. We recently moved into our house and have been wanting to do something to say ‘Hey, we’re here, we’re new, we’re Muslim’. Life and a new baby put this on the back burner, but here we are, 6 months later and have found the perfect opportunity with Ramadan. 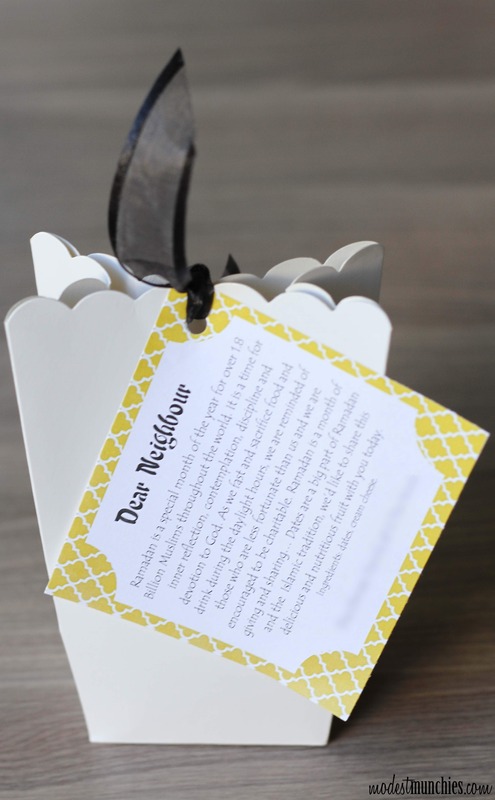 The idea of doing Da’wah with your neighbours during Ramadan is not new by any means, I’ve seen it posted on many sites/blogs before (like this one on myhalalkitchen and this one on muslimmatters), this coupled with our want for an introduction into the neighbourhood was the inspiration for this post. Mr Munchies and I have been working on this for the last few days and I finally have the chance to share. 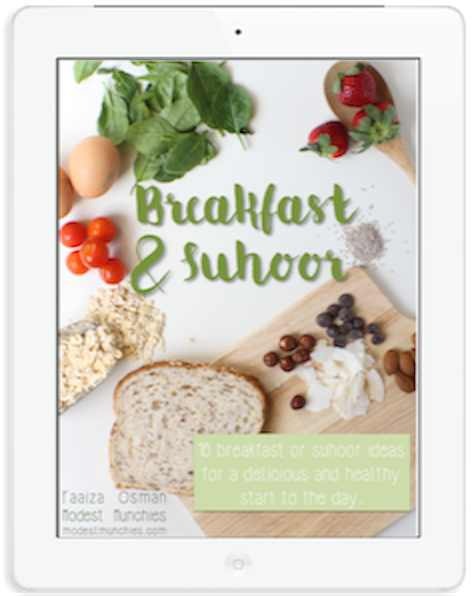 Mr Munchies came up with a little Ramadan snippet and I prettied them up to create this free printable for all of you. 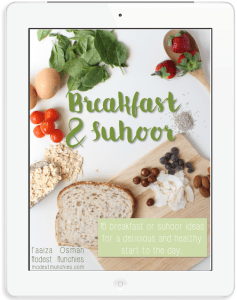 Mr Munchies has a blog, did I tell you, he writes great stuff, make sure you check out his post about our Neighbourhood Da’wah. There’s no thinking or writing required with these, just add some dates put it in a cute little package (or don’t, dates are pretty snazzy on their own), print, cut, attach and you’re good to go. In the photo above you’ll notice I personalised the tags we sent out, the printable version however is open for you to write something in as you please. Please note the words on the printable are copyright. They are only intended for personal use, they are not intended for commercial use. If sharing the words publicly on social media, please tag @modestmunchies. We were hoping to stop at each neighbours house and have a chat but a lot of them weren’t home. The few that were seemed very appreciative and took our date treats in straight away without reading the note, maybe we’ll hear more from them in the next few days. 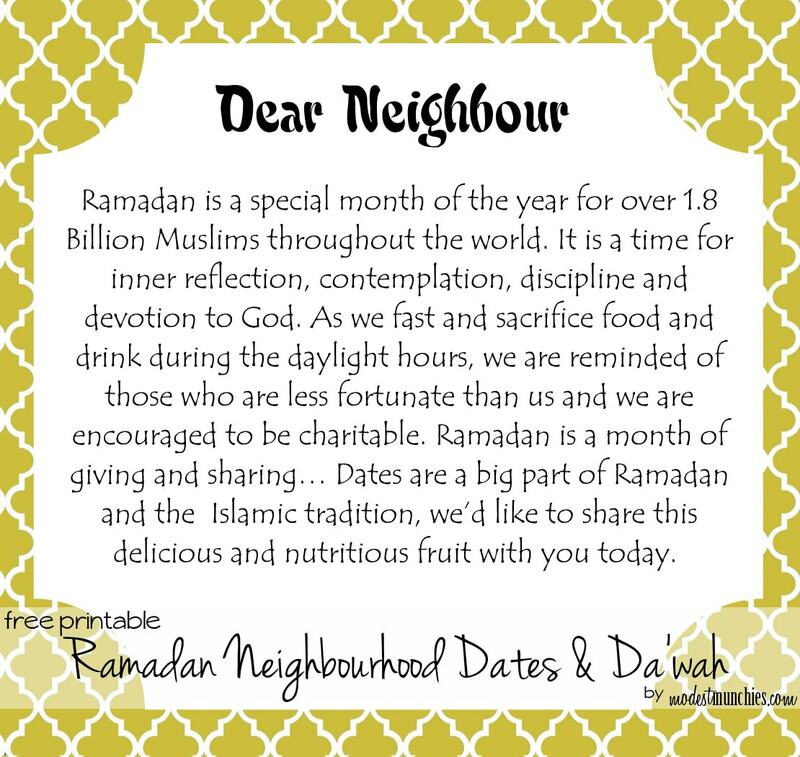 Are you planning to or have you already shared something with your non-Muslim neighbours this Ramadan? If you’d like to use our printable click here, if you’re using this or something else, post a pic to my Facebook page, I’d love to see and I’m sure others would too. Wow MashAllah sister Faaiza! What talent and a great idea! Your blog looks awesome too! Love the new changes. Asalaamualaikum sister. This is a fantastic idea MashaAllah. Where did you get those bags from? JazakAllah Khair I loveee this idea and I’m going to use it this year In sha Allah. Did this yesterday and it was great. My 5 yr old daughter placed the dates in little treat bags, wrote Happy Ramadan on gift tags which I helped tie around the bags with a little description. She LOVED taking them to the neighbors! Made her feel proud of her identity which can be hard to achieve in a Christian majority country. Thanks for the great idea. JazakAllah khair! !